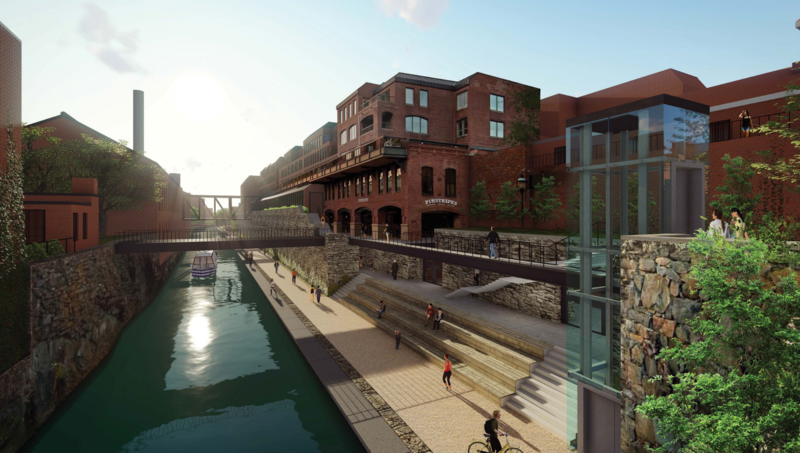 Georgetown Heritage, a non-profit established to restore and improve the canal, has issued an ambitious proposal to do just that. 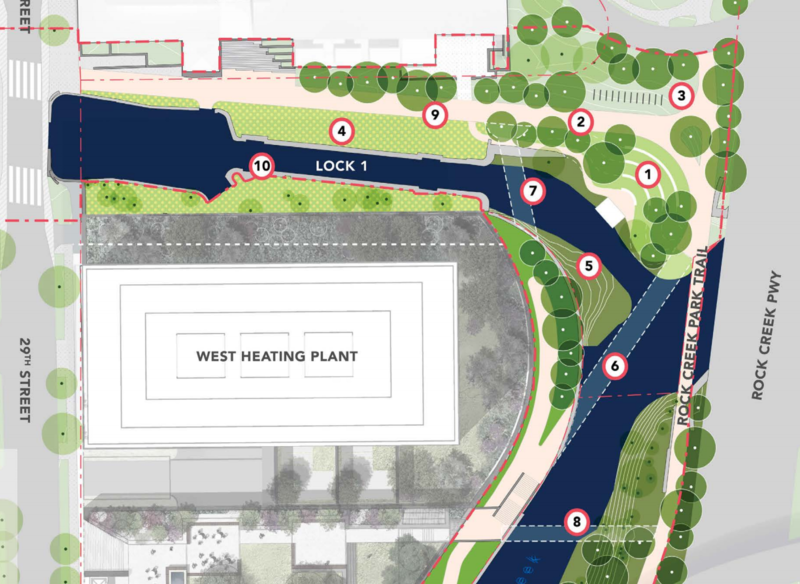 Call it the High Lineification of the canal, if you will, but it is nothing if not dramatic. The plan itself divided the canal through Georgetown into eight distinct sections: The Aqueduct, the Bend, the Walls, the Groves, the Locks, Rock Creek Confluence, Rock Creek and Mile Marker 0. 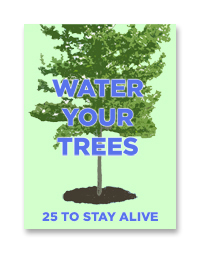 Here are some of the more significant alternatives with each of these sections. The Aqueduct section runs roughly from the old Aqueduct abutment to 34th St. 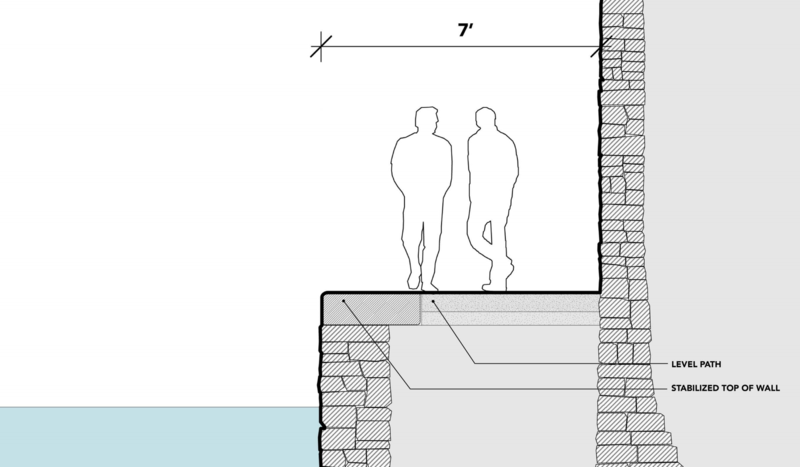 The primary focus of the proposals for this section, not surprisingly, concern the Aqueduct abutment itself. 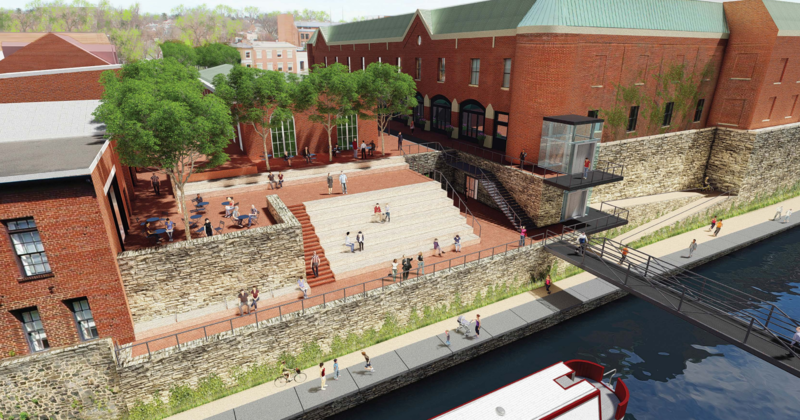 The above rendering depicts a proposed staircase descending from the back of Dean and Deluca down to a catwalk above the towpath. It is unclear what impact this plan would have on the access to the underground parking garage located there. 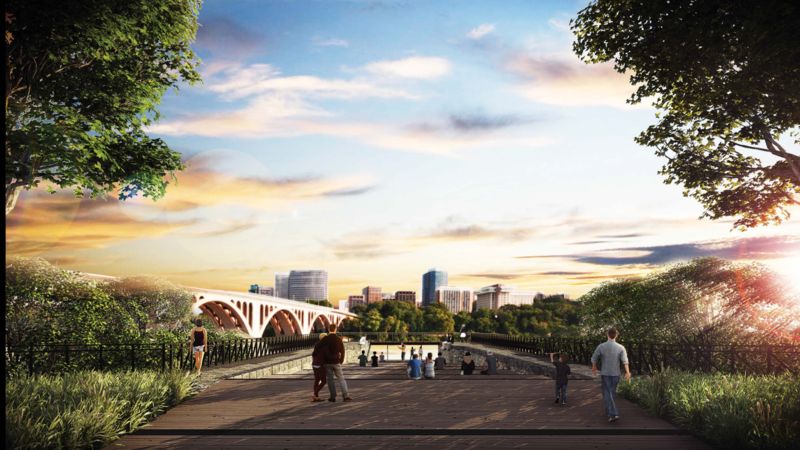 In both of these renderings you can also see the appearance of the proposed elevators. 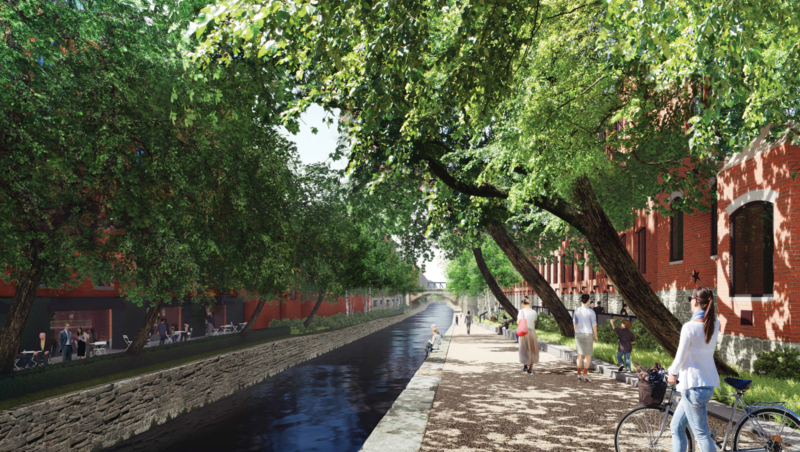 These will greatly increase the accessibility of the canal towpath to people with disabilities or those with strollers, and the law may require them. Here it would also would be appropriate to discuss some of the proposals for the path itself. As you probably know, the current towpath is in terrible shape, and threatens to collapse into the canal at some points along the way. 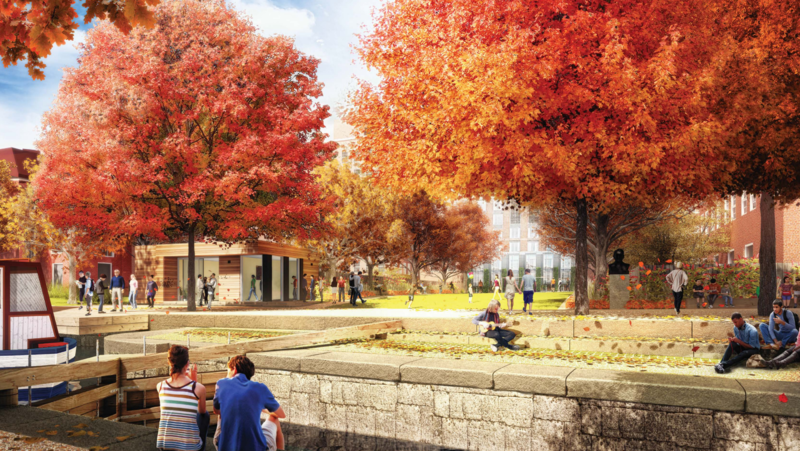 The proposal would shore up the path significantly. 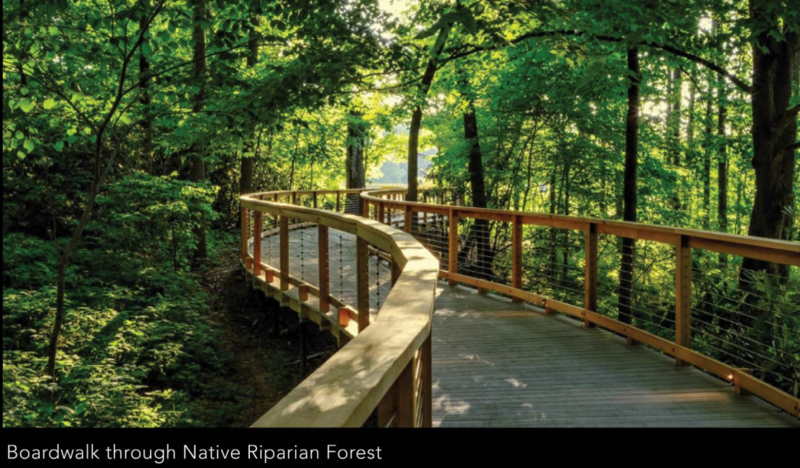 Beyond that, the plan offers several options of how to rebuild the path, in increasing size. 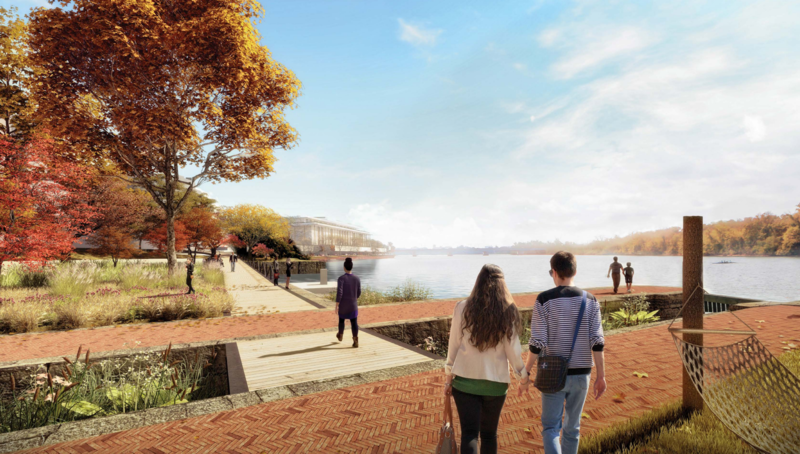 The first option would generally refinish the current path with level hardscape across the entire width of the path. 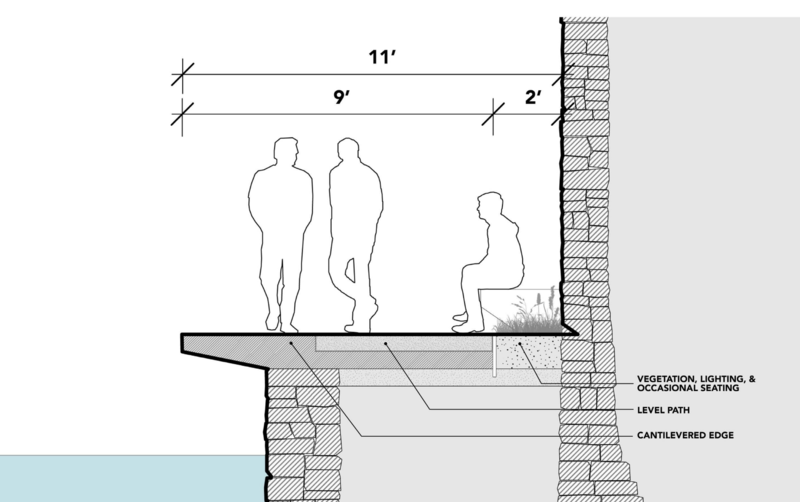 The second option would install a cantilevered edge on the side to give enough room for a 9 foot wide path and maintain vegetation with an occasional bench. 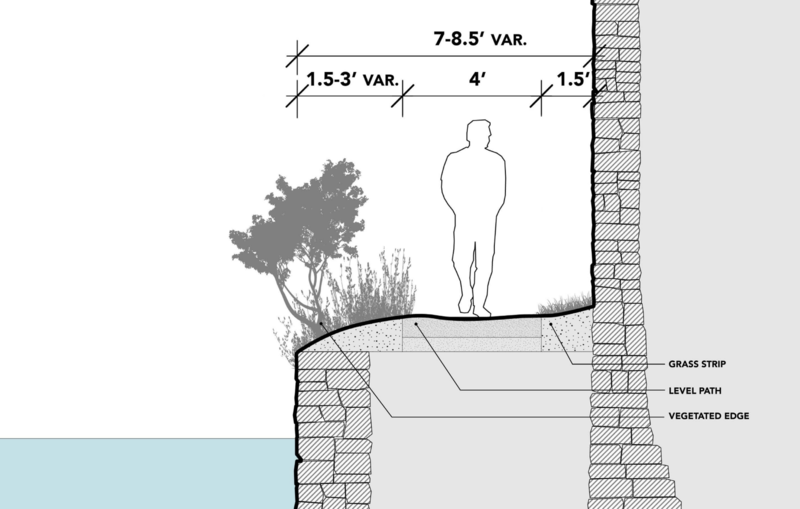 The last option would expand out the wall’s edge to maintain the current look with vegetation along the side. 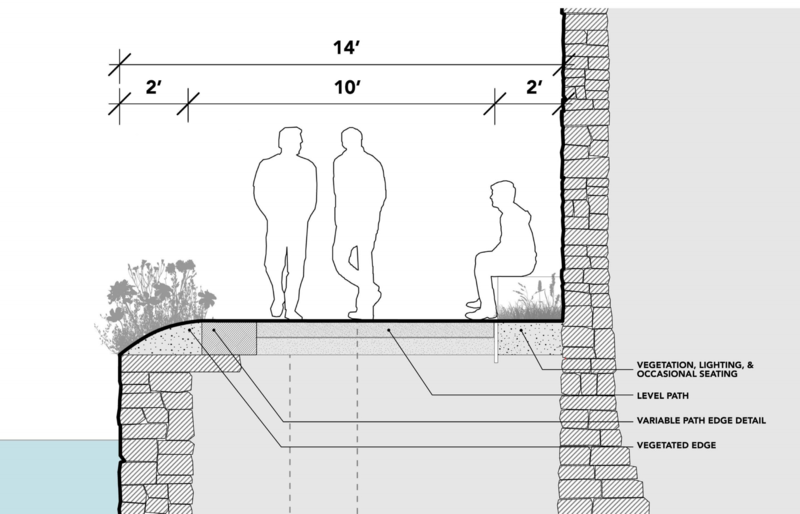 The expanded space would still provide room for a 10 foot wide path and vegetation with the occasional seating on the north side. Finally, the last section, Mile Marker 0. 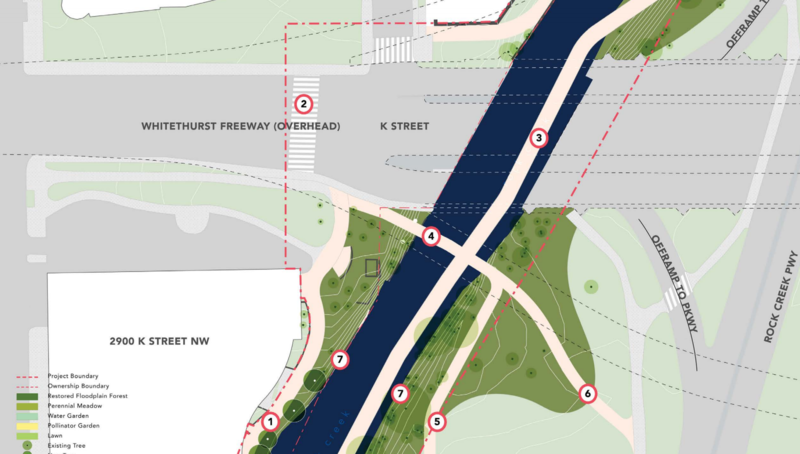 This section includes the point at which Rock Creek (and thus the canal) enters the Potomac. 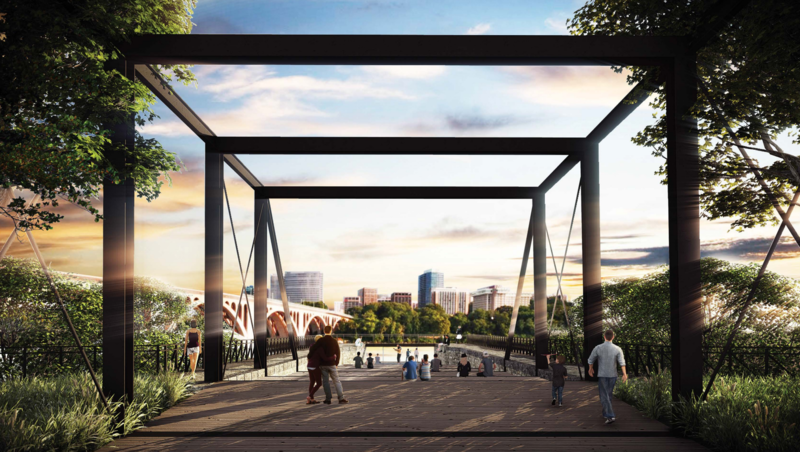 The proposals for this area primarily involve the construction of new landscaping and the construction of a foot bridge. Phew. That’s a lot to take in. Public comments are invited until December 11th. Submit them here.